I was invited to participate and present on a meeting taking place in Wenatchee, in the state of Washington, on June 8th. It is nice to have meetings scheduled for places outside my regularly visited cities. On my seventh year living in the Pacific Northwest, I admit to having never heard of Wenatchee until I was invited to this meeting. 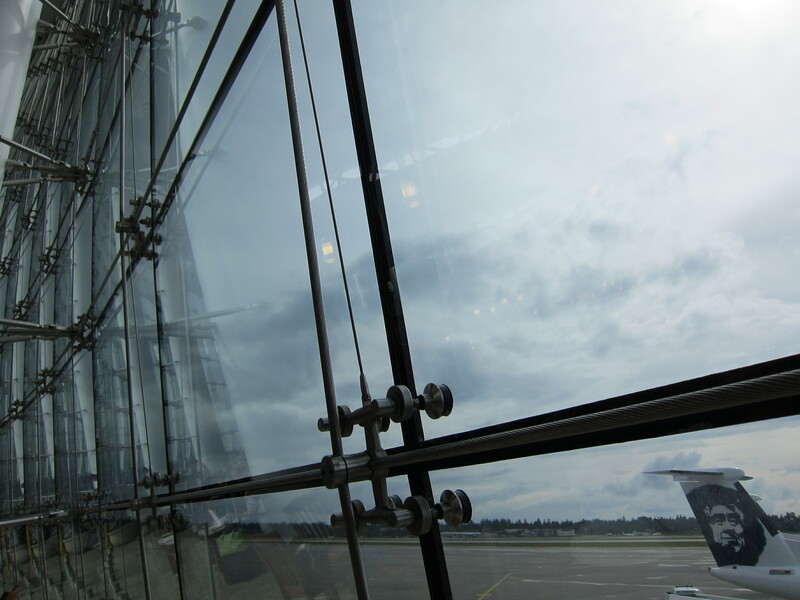 Leaving Seattle, an Alaska/Horizon flight takes about 35 minutes of flight time to reach Wenatchee, which is located almost exactly in the geographical center of the state of Washington, by the Columbia river. 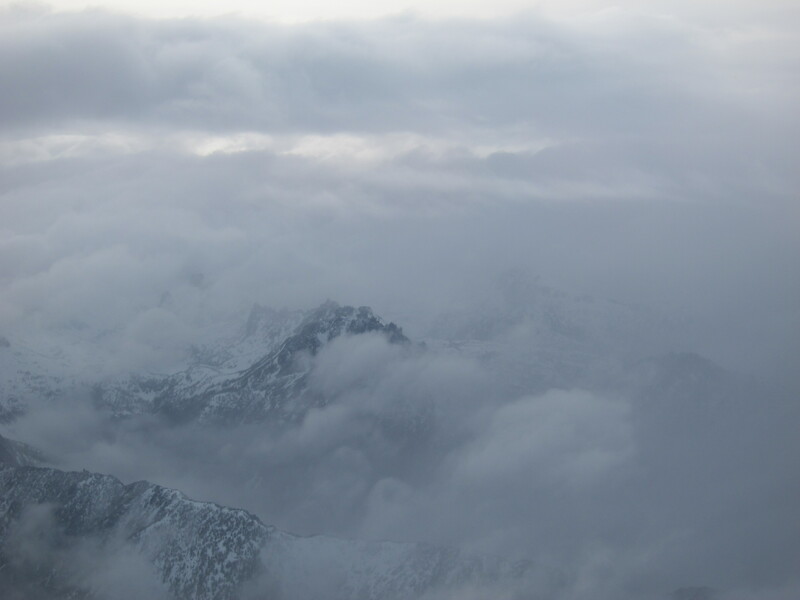 The flight goes over the Cascades, where you can enjoy beautiful views of snowy peaks, if the clouds decide to be generous to you. 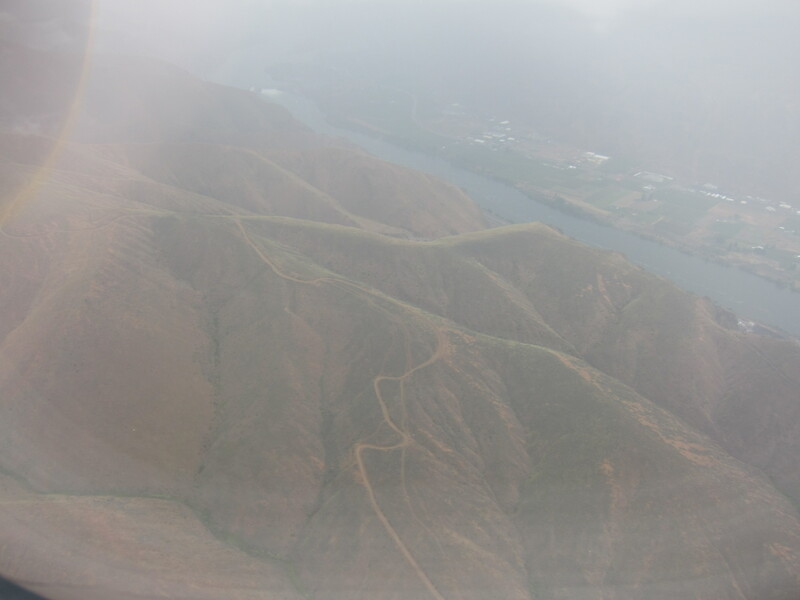 Right after crossing these high mountains the plane starts descending towards the Columbia River valley. 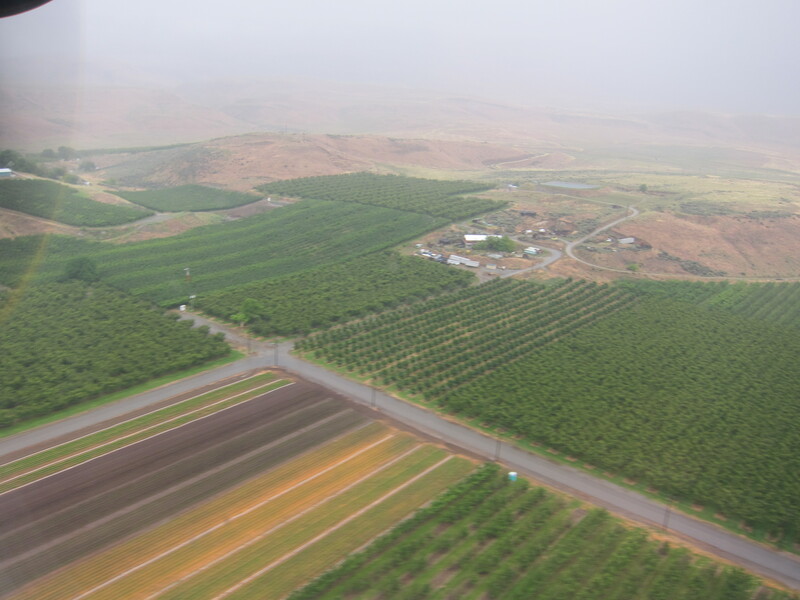 And you go past fruit orchards, Wenatchee is known for apples and other fruits, before landing on the Pangborn Memorial airport. I took a cab to the hotel, and along the way I asked the driver about fruit orchards. After all, I’m still an Agronomic Engineer. The fruit industry is one of the main drivers for the local economy, he indicated to me. But it would only be on my way back to the airport, on the following day, that I was to learn about something else, completely different, and somewhat unexpected, that puts Wenatchee on another set of history books. It was on my way back to the airport that I saw a large sign saying: Wenatchee, Home of Miss Veedol. I immediately pulled my phone out of the pocked and googled it. 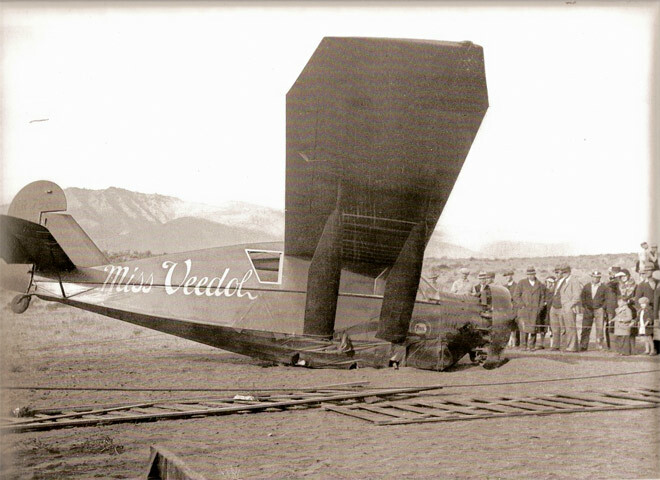 Before I got to the airport I had learned about this interesting story where Miss Veedol is one of the protagonists and which puts Wenatchee as a small chapter in aviation history. So, who was this Miss Veedol? It is an airplane, a Bellanca Skyrocket. What makes it special is that it is the airplane that in 1931 made the fist non-stop crossing of the Pacific, from Japan to North America. But what makes it relevant to Wenatchee, you may ask? 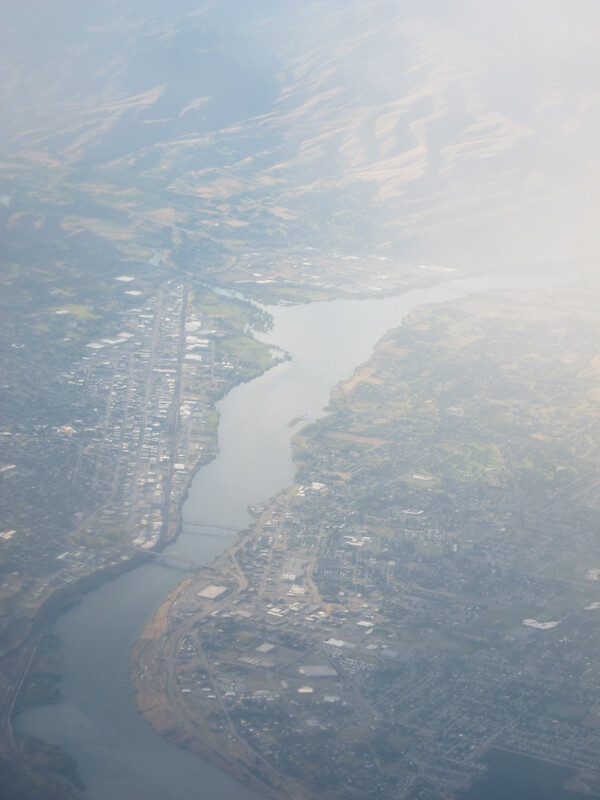 It turns out that Wenatchee is the home town of one of the two pilots who flew Miss Veedol on this historic Pacific crossing. 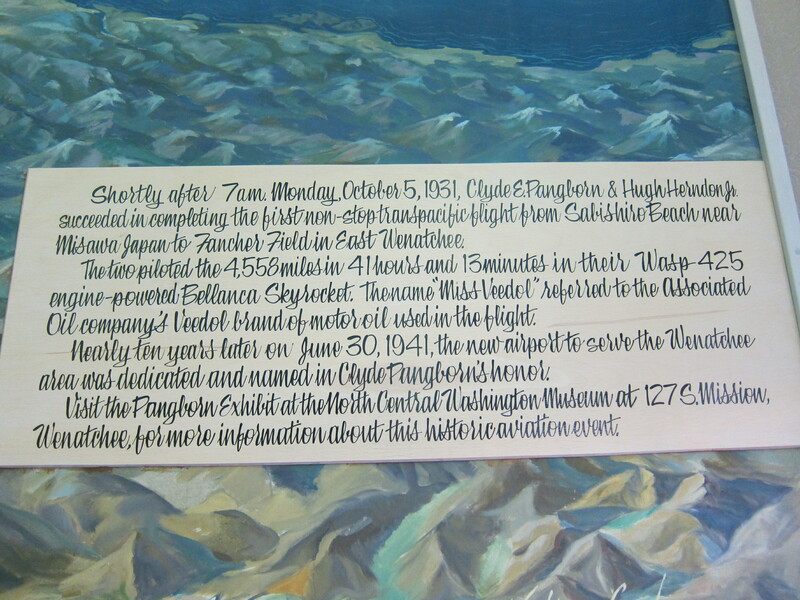 And add to this the fact that the flight which originated in Misawa, Japan, ended in Wenatchee. I will not go on the details of this flight. But to summarize it to you in a few words, it was the result of Clyde Pangborn and Hugh Herndon Jr.’s interest in earning a prize offered by a Japanese newspaper for the first nonstop flight between Japan and the United States. The plane had been modified to carry more fuel for the crossing, and, to be more aerodynamic, the landing gear was modified to be dropped off from the plane soon after taking off from Japan, which explains the crash landing in Wenatchee. The story has a few variations to it. First it appears they originally had purchased this plane to earn a prize set for the world record for the least amount of time to go around the world. But after traveling several days, upon arriving in Siberia they realized they would not make it in the time to the make the record, so they came upon this other challenge offered by this Japanese newspaper. Some references I reviewed indicated that upon successfully making the cross and arriving in the United States, the pilots wanted to land on the coast, but stormy weather prevented this. Pangborn, knowing this area, decided to bring the plane to Wentachee instead. 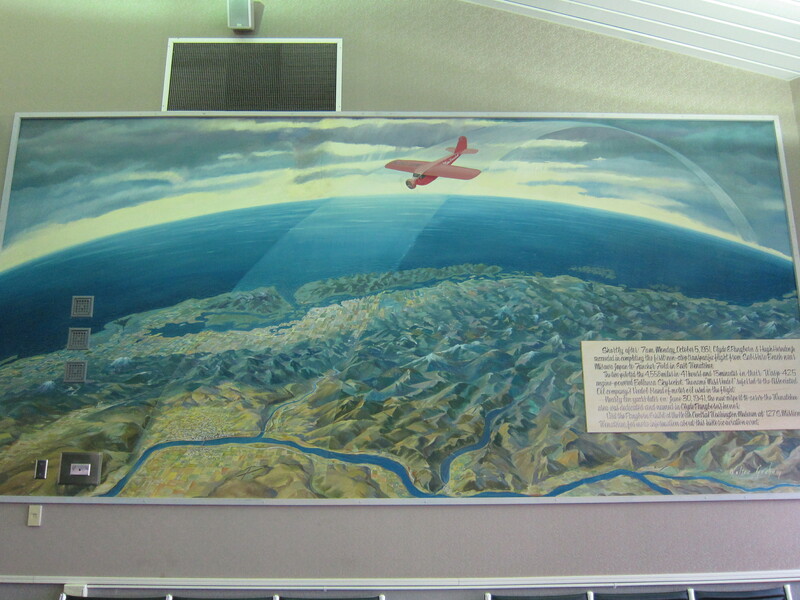 Another reference indicated the pilots wanted to add to the feat, by beating the record of most miles for a nonstop flight set at the time, and were trying to reach somewhere in Idaho, but fearing they could not make the distance, decided to land in Wenatchee, an area known by Pangborn. That was, to me, an interesting piece of history. I like the history of aviation, but it was only because I went to Wenatchee that I would learn about this small but interesting chapter of the aviation history. 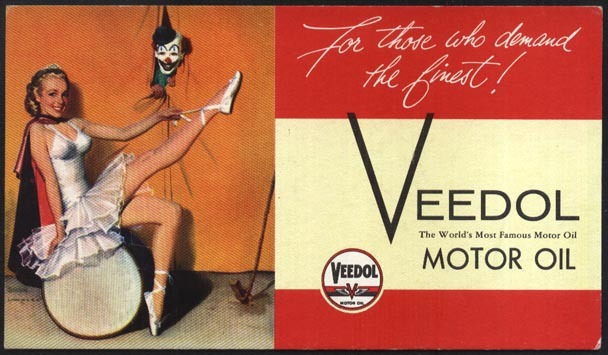 And just in case you were wondering what is the origin of the word Veedol, it is, or I should say it was, a brand of motor oil. 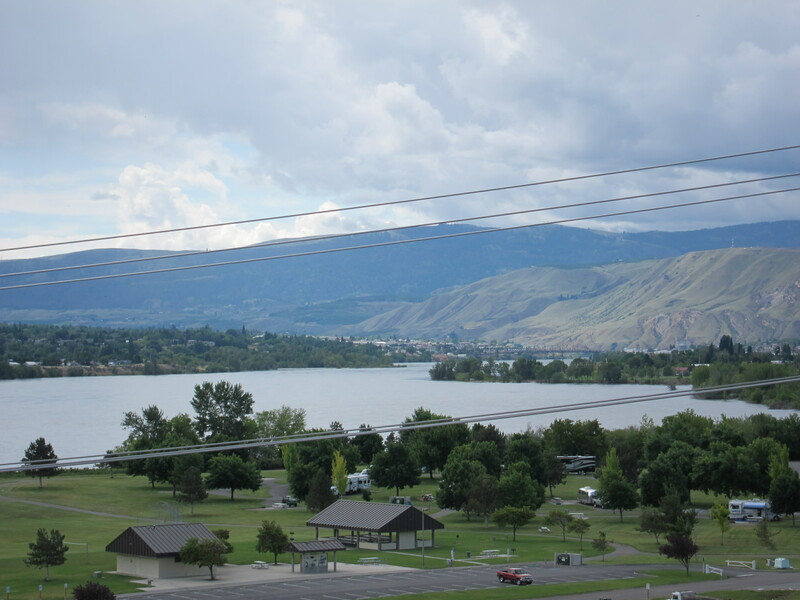 Maybe some day I will go back to Wenatchee on a motorcycle ride. It is a beautiful area and should not be too far away from the Washington Backcountry Discovery Route, a ride that is on my bucket list. 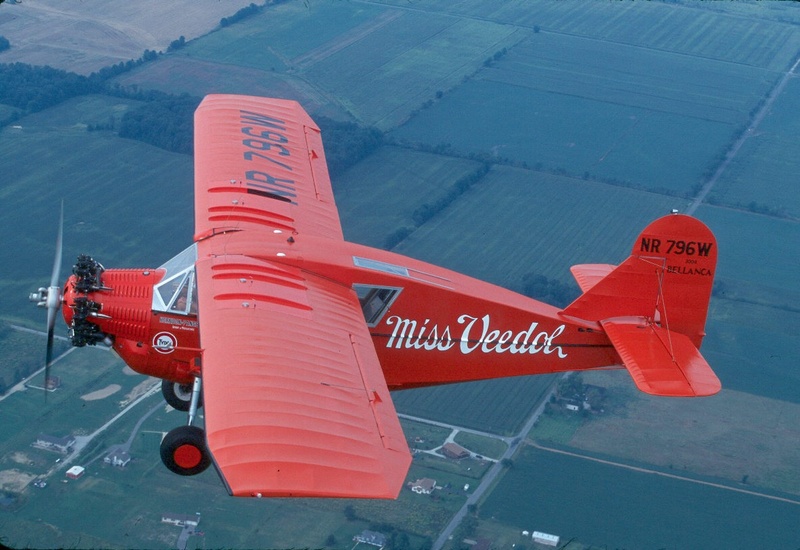 This entry was posted in Travel and tagged aviation history, miss veedol, wenatchee. Bookmark the permalink. Thanks for the invitation, I will keep your group’s route and date in mind.